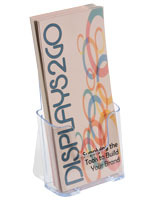 Clear Plastic for Complete Views of Literature. 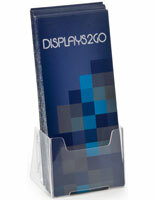 Notched Front for Easy Grabbing of Brochures. 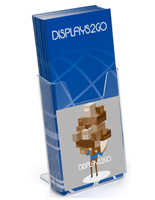 Durable & Affordable Construction for Any Budget. 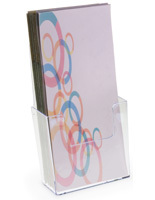 The acrylic desktop literature holder is a single pocket display made of clear plastic. 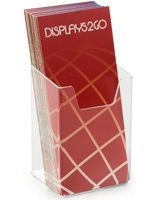 The countertop fixture is able to store trifold and other print materials that measure 4” x 9”. 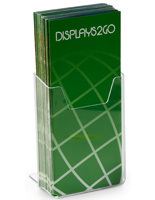 The literature holder with front notch is designed to make it easier for customers to grab the leaflets due to the larger empty space in the front. 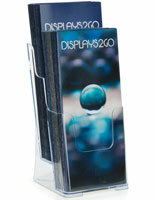 The countertop display is slanted to offer a better view of materials to customers. 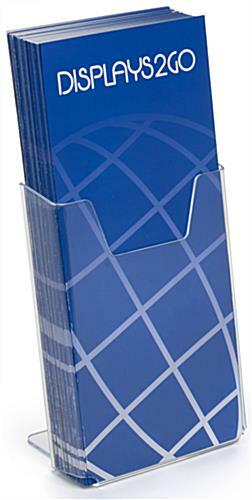 The holder is compact because it is a single pocket design and will therefor fit into many tight spaces. 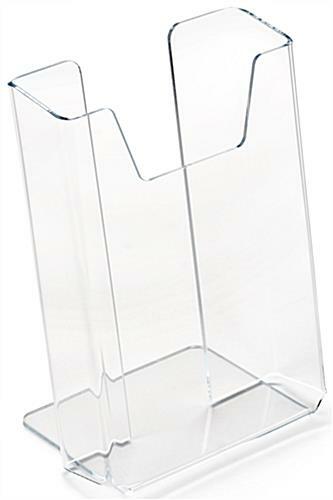 The clear construction allows everyone to easily see trifold materials stored inside. 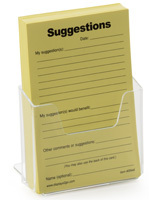 4.1" x 6.0" x 2.8"